Lets assume that the goal of a player is to improve their matchplay skills, and that the goal of the coaching session is to help them to do just that, rather than the player wanting a cardio tennis session for example. 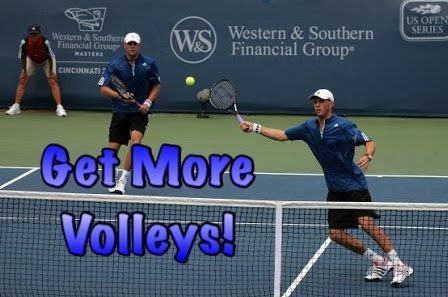 In order for the player to play great tennis and win matches they must have the ability to adjust their mentality, movement, technique and tactics to many different shots and situations. Ultimately a player needs their brain and body working in perfect harmony so they can do the right things, at the right time. Live ball rallying gives players a realistic ball; one that comes at different heights, spins, pace and angles, demanding that the player constantly makes mental and technical adjustments appropriate for each shot. Having the ability to anticipate and read what an opponent will do next is also a learned skill. Live ball rallying where a player can observe their opponent allows them to develop these skills far better than simply reacting to a coach feed the ball out of their hand. A huge basket of balls can also lead to a lack of realistic consequences for the player. When one ball is missed another one is often fed without the player evaluating why the error occurred, or experiencing the true emotion that missing a shot in matchplay brings. Therefore this style of coaching fails to create an effective overlap between training and competition. However, a coach who is fortunate enough to work with a talented player, one who has the ability to quickly learn from their experiences as they play outside of their lessons, may find that the lack of overall skill development throughout their sessions is not quite so noticeable. Basket feeding can be a great tool to help players refine a specific shot or skill, similar to a driving range for a golfer. Creating a situation where a skill can be repeated can help a player develop the coordination chain and electrical patterns within the brain that are required for that skill. If a coach can then feed balls in a realistic manor, or better yet use live ball rallying, to put the player in situations where they must now make decisions as to when and how to use that specific shot or footwork pattern, the coach can provide the player skills required for the real world, and create a powerful coaching session. In conclusion, basket feeding and live ball rallying can both be beneficial when done so in context! Update: Since writing the article I realized that I have overlooked an ingredient when comparing basket feeding versus live ball rallying. A high level player, such as myself, can often rally in a controlled enough manor that the shots are so purposefully placed that they are essentially feeds. This is great because it simulates the rhythm and timing of a rally. However, if you don’t have this skill, or would like to pinpoint a particular shot that would be difficult to execute as a rally feeder, then a basket feed can help to be more precise. Are you a parent coach who feeds balls to your child? Would you like to know how to maximize your time on court and accelerate their development in a specific area? If so, please contact me to see how I can help. It is important to understand that a pusher is often making very good decisions relative to their skill-set, far better than that of their frustrated opponent.